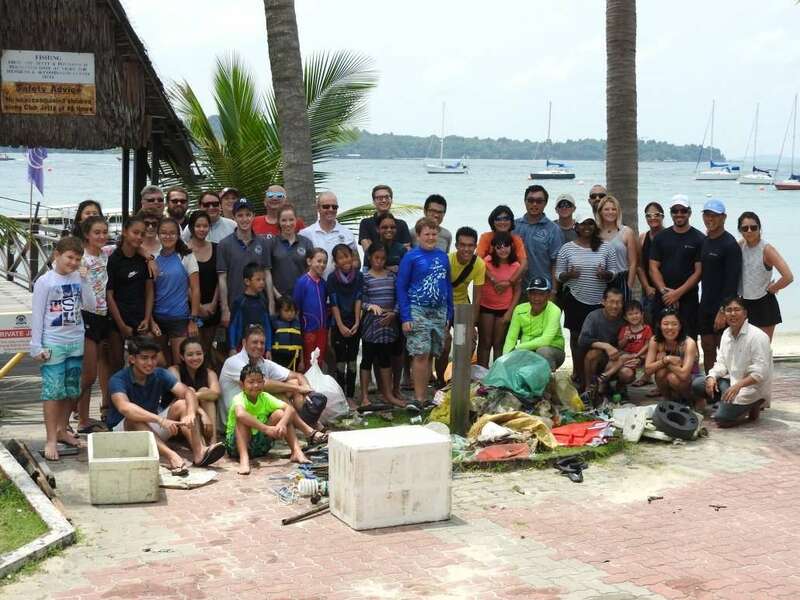 On Singapore’s 53rd Birthday, Changi Sailing Club members stepped out of their comfort zones to do their part for Singapore and the Environment – participating in a large-scale clean-up of our waterways and coast line along the north-eastern rim of Singapore. Armed with biodegradable trashbags, fishing nets and other interesting tools, sailors on 10 Keelboats, 3 Pacers and 1 Trimaran took part in a 2 hour morning clean-up of the Johor Straits. It was both heartening and sad to see the mountains of trash collected from just 2 hours of sailing – accumulating over 60kg of plastic pollution between CSC and Pulau Ketam. On shore, there were sizzling hotdogs on the bbq for hungry sailors, as well as a myriad of eco-friendly products on sale at the Eco-Bazaar. CSC is very happy to support local eco-brands to raise awareness of the alternatives to plastic available in the market, and make small but consistent efforts to create a more sustainable eco-conscious environment for Members and visitors. After lunch, further activities included a scavenger hunt-styled beach clean up, movie screening of “A Plastic Ocean” and a live screening of the NDP 2018 at the Ubin Lounge to wrap up a really productive day! Thank you to all members, family and friends who dropped by to support this Event.